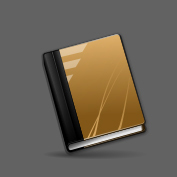 I’m going to let you in on a secret: I’m getting close to finishing book #4. Which is both terrifying and terribly exciting—and also a little bittersweet. Terrifying because it will soon be time to change my Dr. Seuss hat for the suave, cool wide-brim of the Marketing Director. Terribly exciting, because I get to share it with all of you. And bittersweet, because I’ll soon have to stop living in an alternative universe of my own creation. The other question, of course, is What’s Next. A sequel? I’d love it, because I really like these characters—and it seems a shame to let them fade away after building such a detailed world. But since I’ve tried to hold nothing back in this book, I also don’t have any idea at the moment where a sequel might lead. Even if it means building a whole new world all over again, I’ve been through this cycle enough times now to trust that there will be a next book. Once my brain has been cleared of its current muddle of characters, point of view, and breadcrumbs, my imagination will start churning again… and who knows what quick and seemingly unimportant scene it will latch onto next? It really doesn’t seem like any specific “leaf blowing down the street” moment was responsible for this story. Instead it began as a vague wish to explore an ongoing curiosity about island life: not an island like the one I actually live on, which is connected on either side by bridges to the mainland and yet another island; but the true geographic isolation of a small bunch of rock physically connected to the rest of the world only by a daily ferry. Stay tuned for an actual publishing date… and until then, I can only promise (again) that it will be worth the wait. Next → Next post: Freelancers: Feral or Friendly?